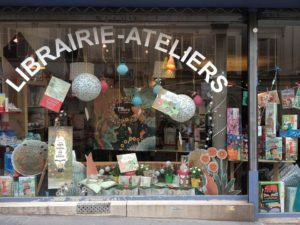 In the 9th arrondissement, find out this nice children bookshop. The booksellers will make you discover great French and bilingual books for children aged 0 – 18 year. They also organize several workshops (tales and nursery rhymes, lecture, contes et comptines, initiation to music, initiation to baby massage,…). You can enroll for 1 workshop or for a full period. Come in at 2 rue Turgot (métro Anvers or Barbès). Libellule et Coccinelle bookshop Facebook page here.